Although I love the pink Minnie things...my heart belongs to the traditional red Minnie. 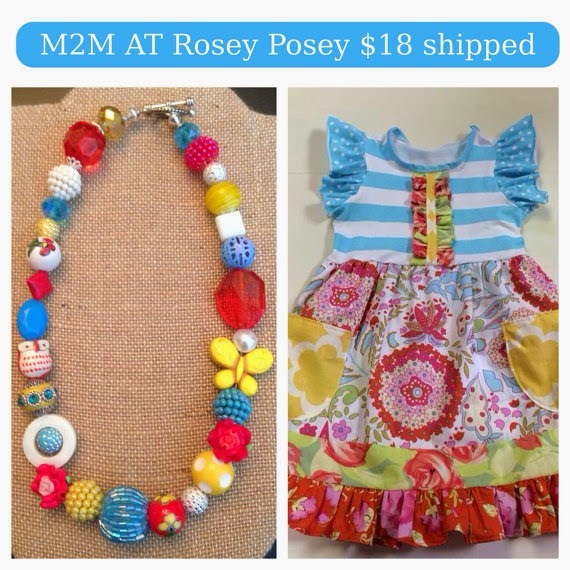 Sally has several cute outfits for Disney that use the colors or red, black and yellow so I couldn't wait to have Bree from Matchin Miss Priss create a necklace for her to wear. The necklace came in the mail last week and I LOVE it! Miss Sally is going to look so cute wearing this at Disney! I love the variety of beads that Bree used. Bree was so easy to work with. She sent me a picture of the necklace and I was able to replace a bead that I didn't care for. How many shops will let you do that?! She really wanted to make sure that I loved it and I really appreciate that. Shipping was super fast too! I love, love, love it! 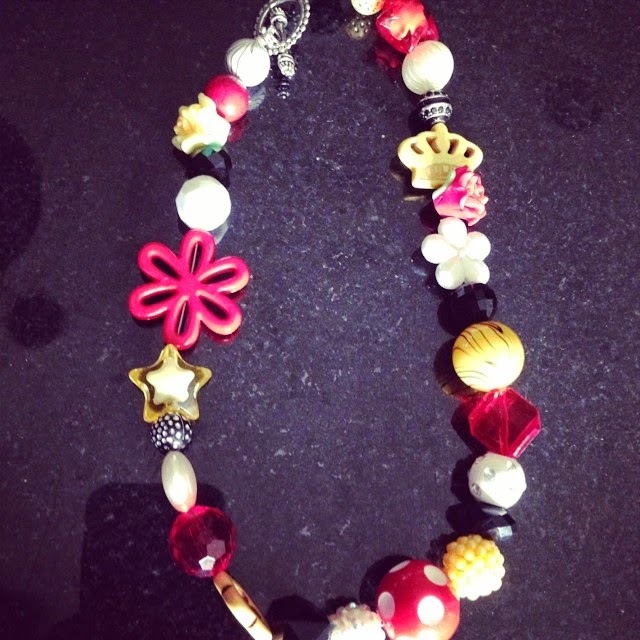 Not only can she do Disney inspired necklaces, she also offers up the cutest necklaces to match dresses. I believe these are all from "Sweet Honey". 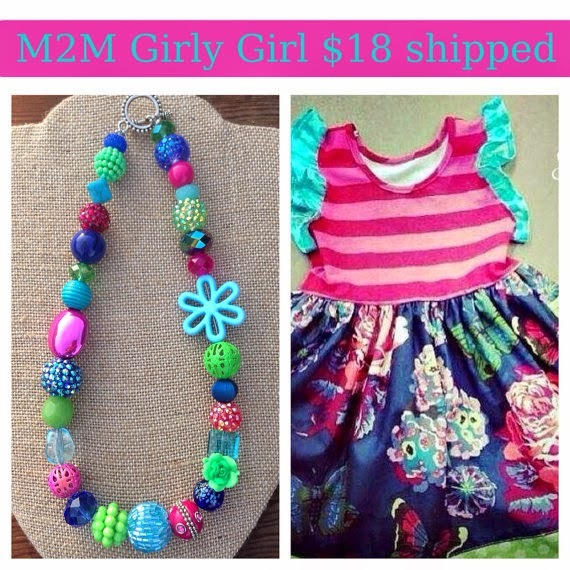 She does such an amazing job making these necklaces look fabulous with the dresses. 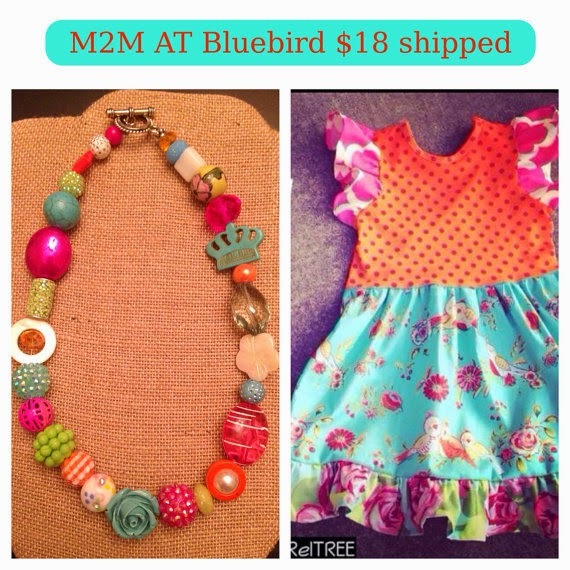 Have a special dress that you want a matching necklace for? Send a picture of it to Bree and she will custom make something for you that will match perfectly! Check out her Etsy shop here.